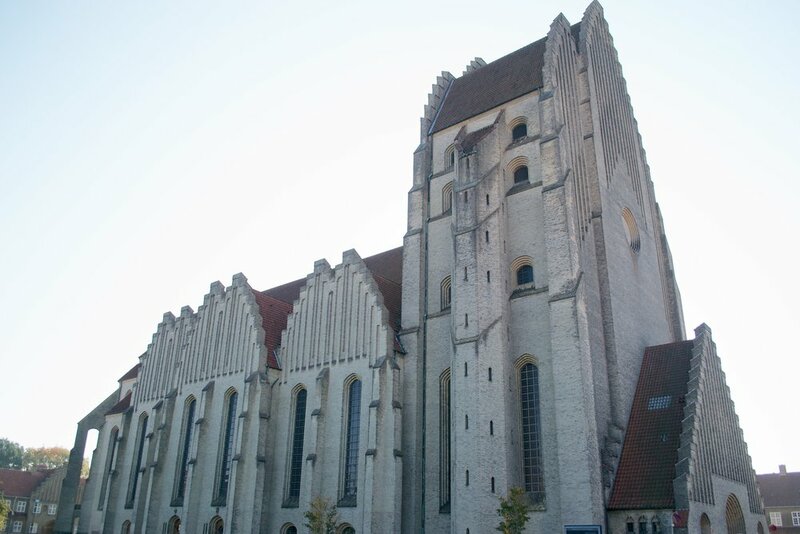 Last week we were in Copenhagen and had the most perfect Fall weather - mid 60’s with clear, sunny skies - AMAZING. As you may have gathered from an earlier post where I share some of the coziest restaurants we’ve been to in Copenhagen, it’s pretty clear this city is a favorite of mine. This trip made it our third time in Copenhagen; first in Winter, then Summer and now this time during Fall. I don’t say this to brag, but rather express how impressive Copenhagen was during each season. From snow-covered streets to flowers then to crisp golden leaves, Copenhagen still had its beautiful charm but the experience was completely different due to all things that were in bloom (or not in bloom!). Out of all the seasons, I feel Fall is the best time to visit (granted, we did get super lucky with the weather!). However, even if it is cloudy, the trees during this time were full of gold and yellow which is such a beautiful scenery to look at while walking around in fresh air. From this trip, I’m excited to share some of the places we visited that showed off Copenhagen’s Fall beauty that I would highly recommend seeing! 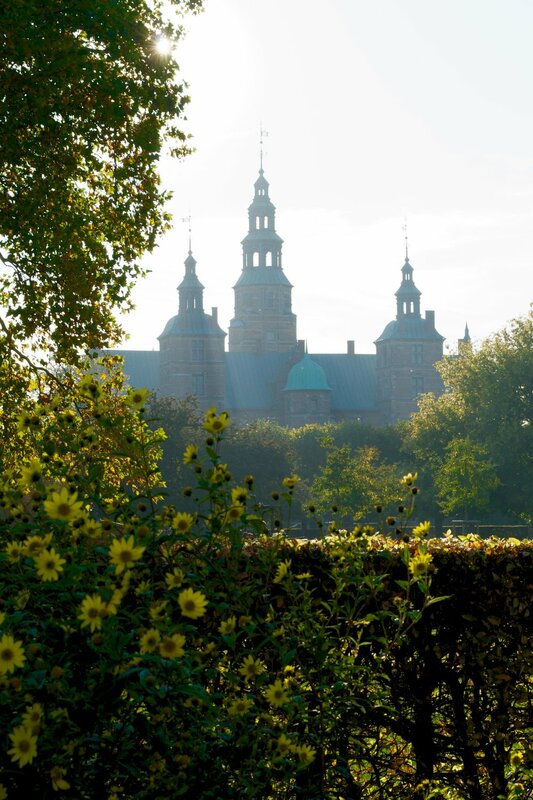 Located in the center of Copenhagen is the Rosenborg Castle surrounded by beautiful rose gardens and mature trees. 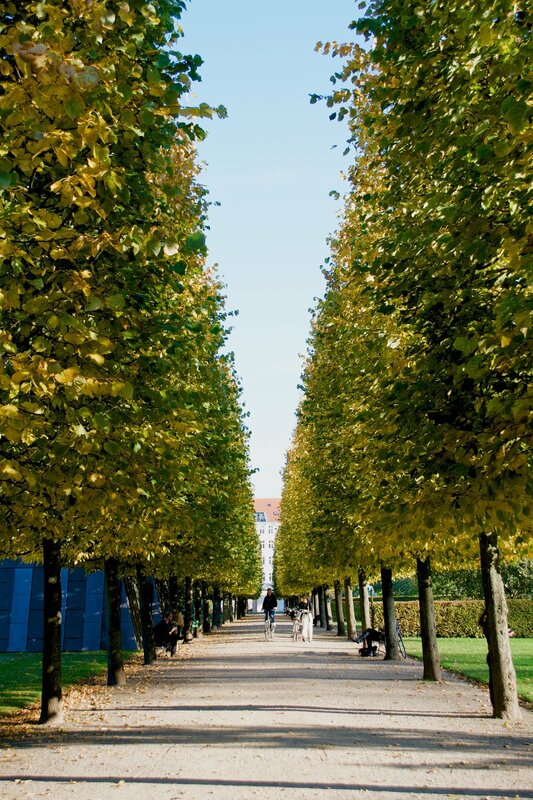 Long walking paths are stretched throughout the garden with trees lined on either side full of gold and green leaves, creating that magical Fall feeling. Ok. This is something you can see anytime of the year…but we saw it on this trip and it’s too beautiful not to share. 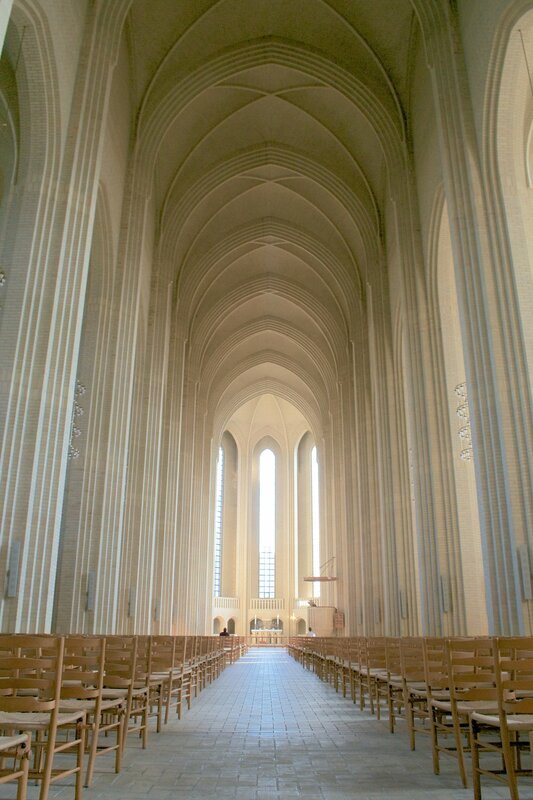 There are some very gorgeous churches all throughout Europe (including the Marble Church in Copenhagen), but this church literally took my breath away and even gave me a few butterflies - I was that excited and in awe to see it in person. 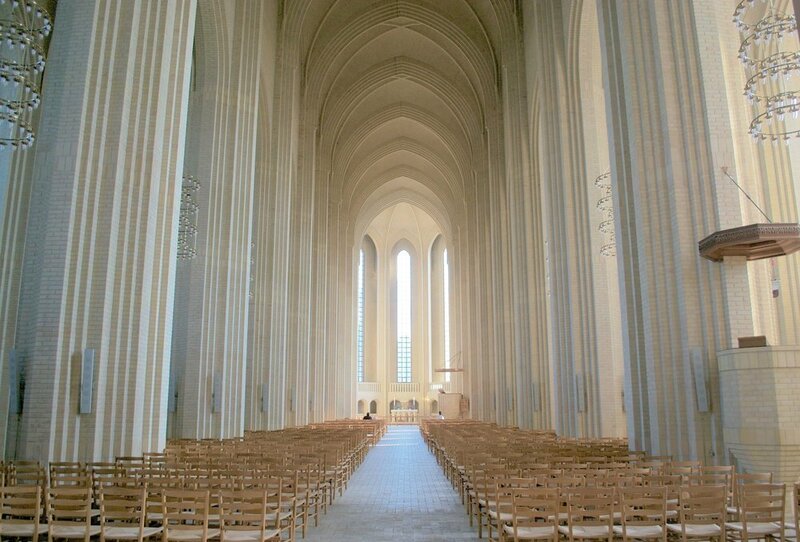 Grundtvig’s Church is an example of expressionist architecture and built with nearly 5 million yellow bricks. Built in the 1920’s and completed in 1940, the simple and modern design with extremely high and narrow ceilings is absolutely stunning and breathtaking. 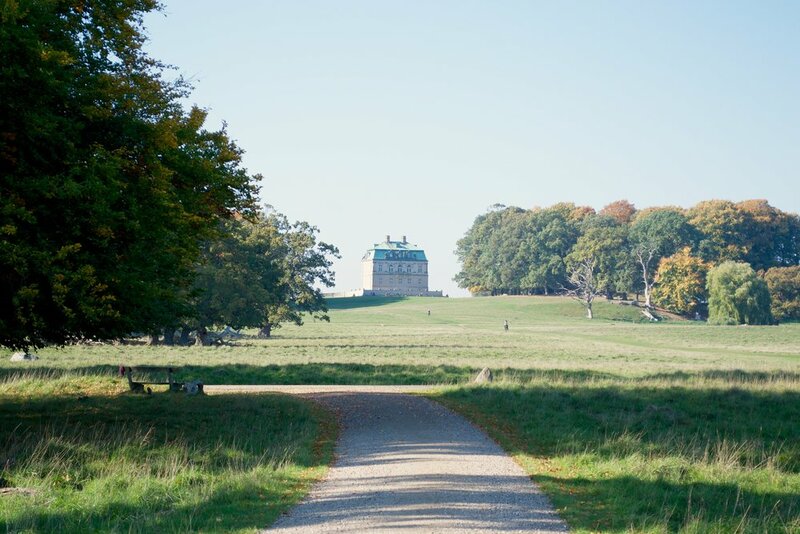 Jægersborg Dyrehave, also known as deer park, should definitely be on your list when visiting Copenhagen. The park is about 10 sq. kilometers ( that’s over 2,400 acres!) 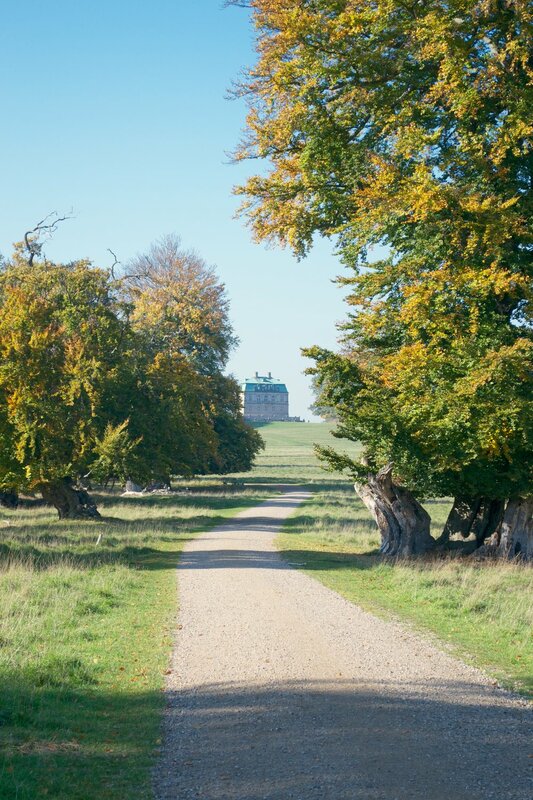 and is full of ancient oak trees, plains and red and fallow deer which you will see calmly grazing or sleeping throughout. The Fall is suggested to be the best time to visit because the trees are boasting with Autumn colors from a mix of green and yellow to gold and red. Walking around the park really makes you appreciate the beauty of nature surrounding you; while the fresh sea breeze mixed with the cool Fall air creates the perfect leisure activity causing you to feel peacefully energized. On the way to Jægersborg Dyrehave we stopped at this park nestled along the Bellevue Beach surrounded by green space and Fall colored trees. Pictured above is Den Gule Cottage, meaning the yellow cottage, a charming restaurant by the beach with sea views and the coziest interiors. We didn’t eat here, but I did pop in for a quick pic, and if the food looks as inviting as the interiors then I can only imagine how delicious it is. If you need a meal or just want to walk around to enjoy the scenery, Bellevue Beach is the perfect little pit stop before or after your visit to the deer park.